I was rather used to getting a new Harry Potter movie just about every Christmas. I actually associate the main theme with the holidays. To me, it's basically a Christmas carol. 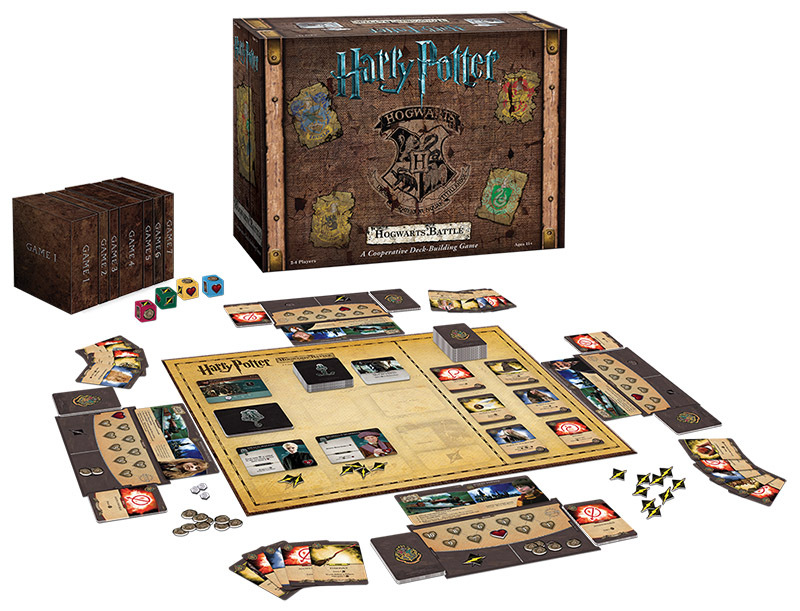 So it feels a bit like "Christmas in October" with the release of the Harry Potter Deck Building Game from USAopoly. In the game, you'll take control of one of the story's most-famous students: Harry, Ron, Hermione, or Neville. 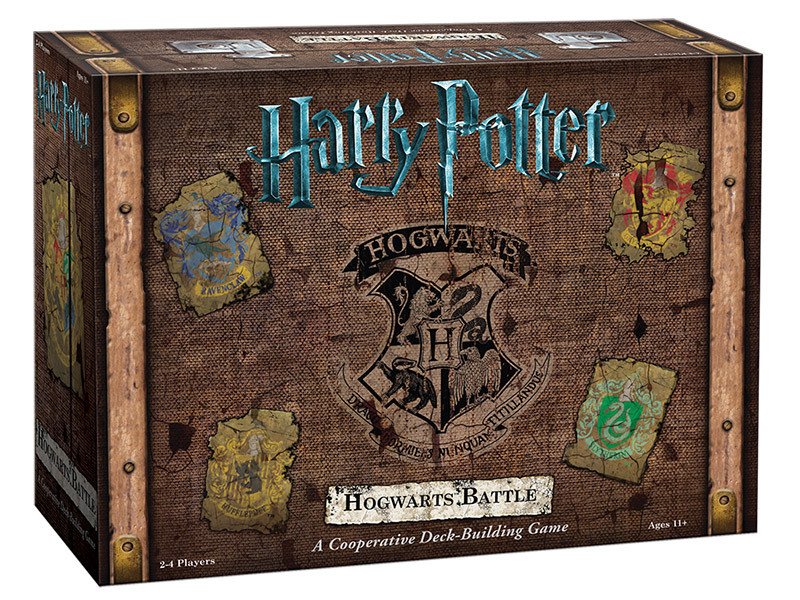 Do battle against all manner of evil forces looking to destroy Hogwarts. Learn more powerful spells, get access to pieces of wizarding power, and get allies as you work to thwart the plans of He-Who-Must-Not-Be-Named (or "Old No-Nose" to his friends).